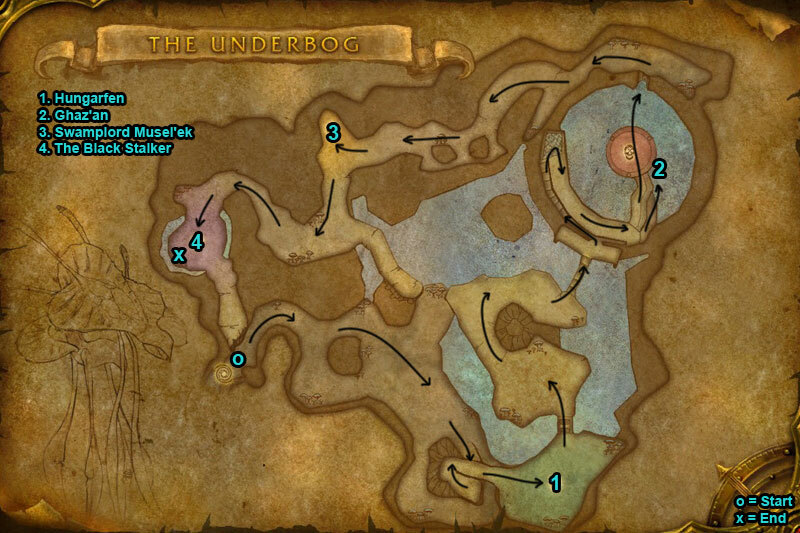 You can find The Underbog dungeon within Zangarmarsh, Outland. 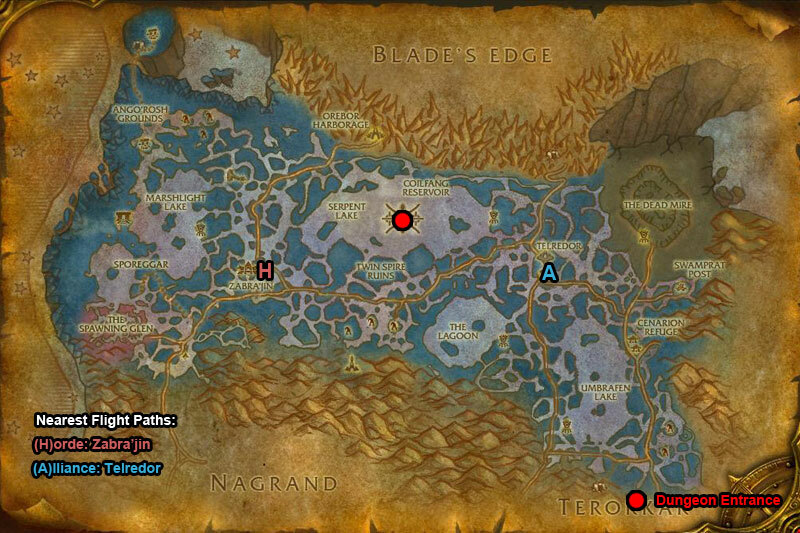 When in Zangarmarsh head to the Coilfang Reservoir and dive under the water. Look for an underwater tunnel and go inside. Go through the long tunnel, when you reach the other side you will be in an underwater cave. /i Mushrooms spawn in random locations & explode after 20 sec. Spore Cloud covers an area dealing nauture damage. When boss at 20% Foul Spores steals health from all nearby players. /i Breathes acid on all players in front of him dealing nature damage. Tail Sweep hits any players standing behind him & knocks back. Spits acid at a player, does nature damage. /i Knocks players back. Multi-Shot fires arrows at players & can hit up to 3 allies. His pet Claw will inflict physical damage & Echoing Roar will reduce nearby players armor by 50%. /i Boss will Levitate a player in the air. Static Charge inflicts ticking nature damage. Uses Chain Lightning. Heroic Differences: Spore Strider summons adds to attack you.